Julie Roberts, Co-Owner of SERVPRO of Pike, Floyd, & Knott Counties, began her SERVPRO career with her husband, Tony, in 2005. 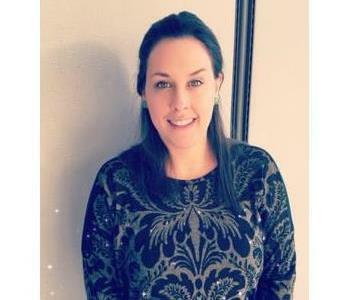 Originally from Nicholasville, Kentucky, Julie has both her Bachelor of Marketing and Master of Business Administration from the University of Kentucky. Now residing in Richmond, Kentucky, Julie likes to spend her weekends with her husband and two sons out on the lake. She also tries to sneak in a horseback ride or two when she can! Julie had no clue SERVPRO even existed when her husband brought the opportunity to her, and now she said she can’t imagine doing anything else. While she jokes that in this business “everyday is a surprise” she loves being able to help people in their time of need, and work with her employees to create a place of employment that is not only fun, but also helps contribute to the community in which they are placed. 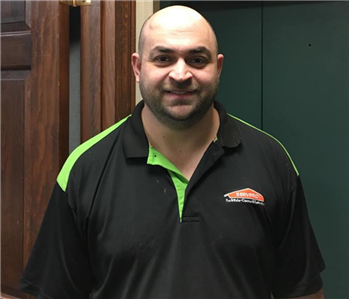 Anthony Roberts, Co- Owner of SERVPRO of Pike, Floyd & Knott Counties got his start with SERVPRO while in college as a Service Marketing Representative. He immediately felt a passion for the industry, and talked his Bride-To-Be into moving to London to start their own franchise in 2005. Together with his wife, he enjoys nurturing a culture for compassion towards their customers in their time of need. In his free time, he likes to cheer on the Kentucky Wildcats, and spend time at the lake with his wife and two sons.Tony has several important certifications including IICRC Applied Structural Drying and IICRC Commercial Drying Specialist. Mike Parsons, Co-Owner of SERVPRO of Pike, Floyd & Knott Counties got his start with SERVPRO 11 years ago. Mike really enjoys the ability to help people in their time of need through our restoration services. His passion for building relationships and helping his team succeed motivates him every day. Mike holds several important certifications including IICRC – WTR, ASD, and CDS, OSHA HAZWOPER 40, mold remediation, subrogation I and II and numerous SERVPRO corporate certifications. He is also a Kentucky Society of Healthcare Engineers Contractor and a Kentucky Department of Agriculture Applicator. In his free time, Mike enjoys family time with his wife and two children, backroads traveling, and of course, UK football and basketball! Tracey Riddell is the Administrative Assistant at SERVPRO of Pike, Floyd & Knott Counties. She has been employed with SERVPRO for about five years. She has the following certifications: Employee Training Certification Program: Crew, Water, Fire, Carpet & Upholstery. She is also DryBook certified. Her favorite part of the job is being able to help customers feel at ease after their loss. She likes to let them know we can fix their situation and make it “Like it never even happened.” In her free time, Tracey enjoys; spending time with her two daughters, being outside, fishing, and horseback riding. Kelsey White is the Marketing Coordinator for SERVPRO of Pike, Floyd, & Knott Counties. She has been with SERVPRO for one year. Her favorite part of her job is "working within her community to help make peoples lives a little easier when disaster strikes." She has the following certifications: Employee Training Certification Program: Crew, Water, Fire, Carpet & Upholstery. Kelsey was born and raised in Richmond, KY. She enjoys reading, hiking, and going out on the boat! She loves swimming, and if she had it her way it'd be summer year 'round in Kentucky! Paige McGuire is the Accounting Clerk at SERVPRO of Pike, Floyd, & Knott Counties. Employed with SERVPRO for almost two months. She is originally from Prestonsburg, KY but now resides in Richmond with her husband and daughter. Paige has a Bachelor's in Marketing from Eastern Kentucky University. 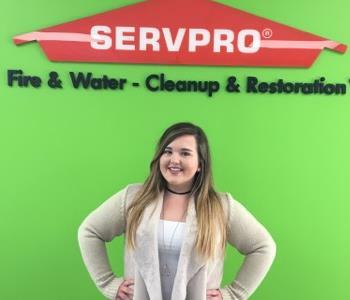 Paige says, "My favorite part about my job is getting to know the team, learning all the amazing things SERVPRO does for customers, and hearing wonderful results afterwords." She also says, "It's a plus that I'm a math nerd, and I get to work with numbers!" In her free time, she enjoys playing the piano, spending time with her four year old, watching the CATS, and when the weather is nice riding the motorcycle with her husband. Brandon Huff is a Production Technician who has worked for SERVPRO® of Pike, Floyd, & Knott Counties for over six months. He resides in Pikeville, KY where he enjoys carpentry, wood-working, and gaming. The best part of his job is working with his team to give families hope during their time of a loss. We are extremely lucky to have Brandon on our SERVPRO team.